FrSky XSR-Sim USB DongleThe FrSky Wireless USB Dongle allows you to wirelessly connect your FrSky .. Requires 2 x 18500 Li-Ion Batteries (not included). FrSky R9M Lite and the R9 MM Combo 868mhz Long Range Transmitter and receiver module for the XLite EU LBT Firmware. 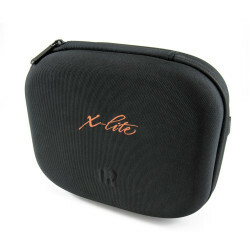 This is specially designed for the new compact Transmitter the XLite and is also firmware upgradeable via the radio. Long range in such a small package is now possible with the R9M lite and R9 mini. R9M Lite module is a 868MHz frequency system which is specially designed for FrSky Taranis X-Lite transmitter. This being the "Lite" version of the R9 series works perfectly with all receivers in the R9 series. In addition, it gets super low latency and high precision thanks to the upgraded digital interface and high-speed data transmission. The R9M Lite has the extreme performance with the ability to achieve long distances with one RF power output at 100mW. The latest 868MHz receiver from FrSky the R9 Mini. This receiver brings forth all the features of previous R9 receivers in an extremely compact and lightweight design. Super low latency, and it supports the redundancy function to ensure your aircrafts safety. 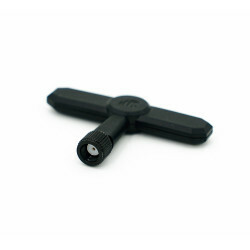 Ipex antenna connector makes it easy and quick to replace damaged antennas. Industrial Grade Superglue GPMedium viscosity formula fills gaps to 0.1mm. For use on perfect fit su..